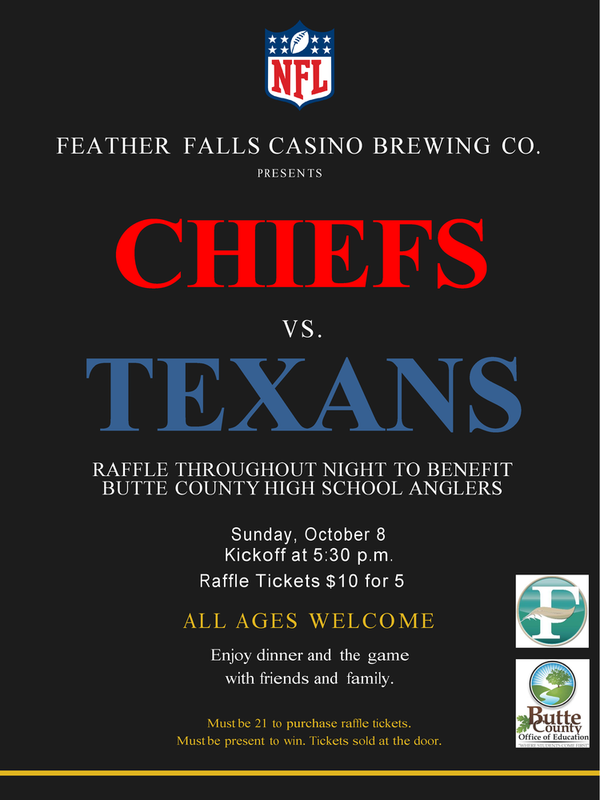 Enjoy dinner with friends and family while watching the Chiefs take on the Texans at the Feather Falls Brewing Company. Raffle with amazing prizes. All proceeds of raffle benefit the new Butte County High School Angler's Club.